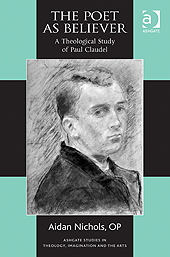 This is the first comprehensive study of the theological significance of Paul Claudel, a poet frequently cited by literary-minded theologians in Europe and theologically-minded poets (such as von Balthasar, de Lubac and Eliot). His writing combines cosmology and history, Bible and metaphysics, liturgy and the drama of human personality. His work, which continues to arouse discussion in France, was acclaimed in his lifetime as the 'summa poetica' of a new Dante. Aidan Nichols' study demonstrates how Claudel's oeuvre, which is not only poetry but theatre and prose including biblical commentaries, constitutes a rich resource for constructive doctrine, liturgical preaching, and theological reflection. As the comparable example of Geoffrey Hill, Professor of Poetry at Oxford suggests, Aidan Nichols illuminates how Claudel's synthesis of many dimensions remains an important way of practising poetry in the Christian tradition today. About the Author: Aidan Nichols is an English Dominican who has taught in various countries; John Paul II Memorial Lecturer in Roman Catholic Theology at the University of Oxford 2006-8; author of some 40 books on different aspects of theology (including Redeeming Beauty: Soundings in Sacral Aesthetics, Ashgate). Visit the Ashgate website for Nichols’s new book and receive 20% discount! Once you enter the checkout stage you need to enter the discount code: H11EUV20 in the box marked Promotional Code in Step 1 of the basket. Valid until 30th October 2011.